A complete shaving kit for silky-smooth hair-free skin. 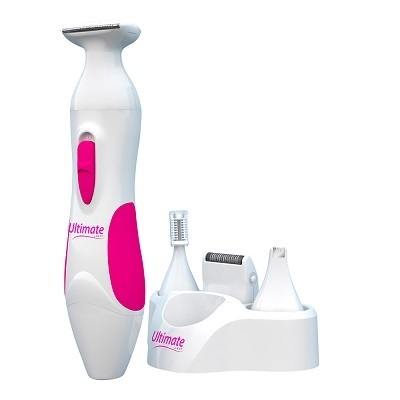 Make sure your neat, trim and tidy with this Ultimate Personal Shaver For Women. Achieve silky smooth skin and a closer cut with no nicks or razor bumps. This complete shaving kit has everything you will need for hair-free skin. This personal shaver is excellent for maintaining your bikini line and will keep your legs and armpits velvety-soft all day. Designed for women, but men can use it too, comes with a handy travel bag for storage.